17th August 1926 - 5th July 2007. He was born in Liverpool and was educated at Stowe school, where he discovered his interest in modern art, jazz and blues. After the war, Melly found work in a London surrealist gallery, working with E.L.T. Mesens and eventually drifted into the world of jazz music, finding work with Mick Mulligan’s Magnolia Jazz Band. This was a time (1948 onwards) when New Orleans and "New Orleans Revival" style jazz were very popular in Britain. He retired from jazz in the early 1960s when he became a film critic for The Observer. He also became the writer on the Daily Mail’s satirical newspaper strip Flook, illustrated by Trog. He was also scriptwriter on the 1967 satirical film Smashing Time. This period of his life is described in Owning Up. He returned to jazz in the early 1970s with John Chilton’s Feetwarmers, a partnership that only ended in 2003. He later sang with Digby Fairweather's band. He released three albums in the 1970s including Nuts in 1972 and Son of Nuts the next year. He wrote a light column — Mellymobile — in Punch magazine describing their tours. He was an Honorary Associate of the National Secular Society and a Distinguished Supporter of the British Humanist Association. He was also a member of the Max Miller Appreciation Society and on 1 May 2005 joined Roy Hudd, Sir Norman Wisdom and others in unveiling a statue of Miller in Brighton. His singing style, particularly for the blues, was strongly influenced by his idol, the American Blues singer Bessie Smith. 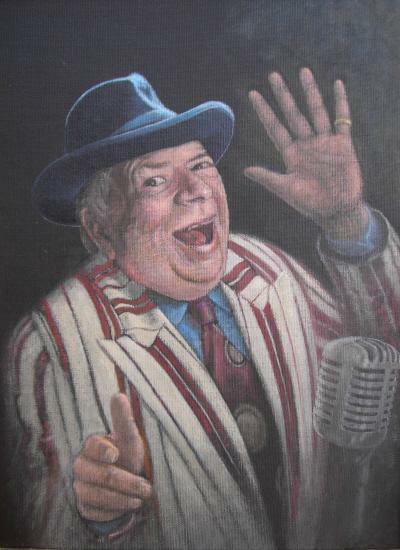 While many British musicians of the time treated jazz and blues with almost religious solemnity, Melly rejoiced in their more bawdy side, and this was reflected in his choice of songs and exuberant stage performances.